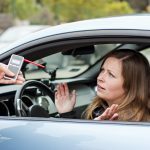 Do I Need a Drink Driving Lawyer for a Low Range PCA Offence? Drink driving as an offence is divided into categories, depending on the level of alcohol found in your blood at the time of testing. A low-range drink driving offence is when you are found driving with a blood alcohol concentration (BAC) of between 0.050 and 0.079. Although this is considered a minor drink driving offence, if you are convicted of low range PCA, you will still risk a mandatory disqualification from driving. If you are facing charges, you might be asking yourself, do I need a drink driving lawyer? If you want to avoid paying a fine and being disqualified from driving, it is important to speak to a specialist drink driving lawyer as soon as possible after you have been charged. 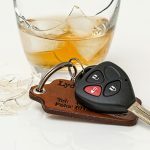 A drink driving lawyer can help you in a number of ways, and may even be able to help you get a section 10 dismissal or conditional release order, or avoid losing your licence. What if I decide to plead guilty? Pleading guilty to a drink driving offence doesn’t necessarily mean that you will lose your licence. Depending on the circumstances, your lawyer may be able to request and obtain a non conviction order on your behalf. A non conviction order is a finding of guilt without a conviction, and they are given at the discretion of the magistrate presiding over the matter. A drink driving lawyer with a strong track record at obtaining non conviction orders for their clients will be able to help present your case in the most positive light. This can include helping you obtain character references, and drafting a letter of apology to the court. Your lawyer can also explain the impact that a criminal conviction for a PCA offence might have on your lifestyle, and how being disqualified from driving could affect you and your family. Your drink driving lawyer will know the best way to get a non conviction order and can help you avoid conviction even if you plead guilty. If you are unable to get a non conviction order, your lawyer can still help you get the best possible outcome, and work to make sure you receive a less severe sentence. What if I plead not guilty? If you decide to defend yourself against a charge of low range drink driving, then you will need the services of a drink driving lawyer to help you prepare your defence and argue your case in court. There are a number of defences to drink driving charges, and an experienced lawyer will be able to advise you on the best course of action for your circumstances. Your lawyer can help you gather any evidence to support your case, as well as detect and expose any weaknesses in the prosecution’s case in court. Having the support of an experienced drink driving lawyer can make a significant difference to the outcome of your drink driving matter. If you are facing a charge of low range PCA, it is important to speak to a lawyer as soon as possible. An experienced drink driving lawyer has specialist knowledge and expertise to help you get the most positive outcome for your drink driving case, so you can put it behind you and get back on the road as soon as possible. 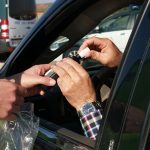 Drink Driving: What is the Difference between PCA and DUI? What should you do if you’re caught drink driving? Should low-range drink drivers get criminal records? 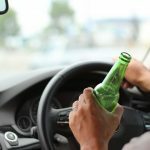 0.05 Alcohol Limit for Drink Driving: Has Australia Got it Right? What is the Penalty for Low Range Drink Driving? 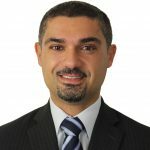 Do I Need A Drug Lawyer For A Drug Possession Charge? 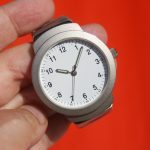 Can Criminal Lawyers Help Get My Charges Withdrawn?